Watch: Matthew Macfadyen in 2 Teaser Trailers for The Last Kingdom! 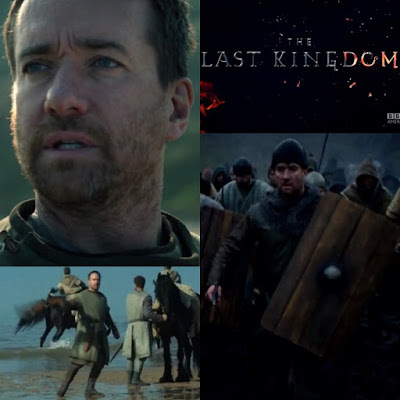 BBC America just released two teaser trailers today for the upcoming8-part drama series The Last Kingdomstarring Matthew Macfadyen. It will premiere on Saturday, October 10th at 10 PM ET/9c. Matthew's character for this drama is still unknown. Hopefully, we'll find out what character he's playing soon. Watch: Donald Sutherland and Jena Malone in new full-length trailer of The Hunger Games: Mockingjay - Part 2! Lionsgate just released today the official The Hunger Games: Mockingjay - Part 2 (Donald Sutherlandas President Snow and Jena Maloneas Johanna Mason co-star) full-length trailer for director Francis Lawrence's final installment of the THG franchise. The trailer featured another quick (blink and you'll miss it) glimpse of Jena's Johanna Mason character and Donald's President Snow. In the conclusion, Panem has gone to war, Katniss Everdeen (Jennifer Lawrence) and President Snow (Donald Sutherland) have come to their final confrontation. 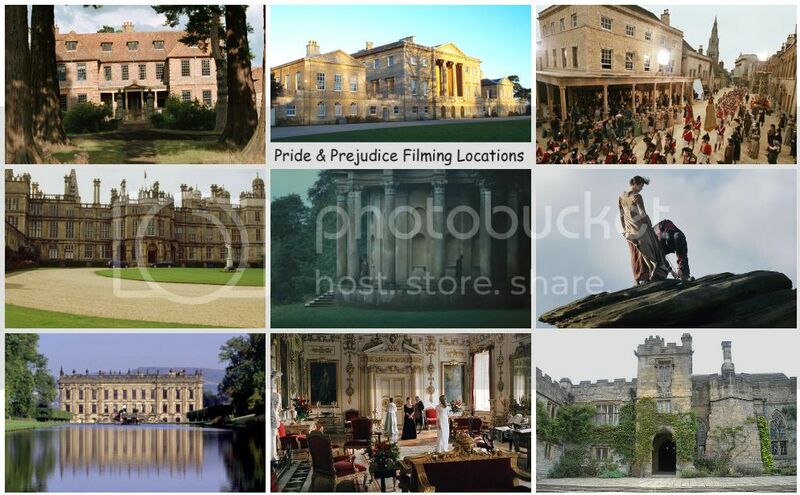 In Retrospect: Principal Photography for Pride & Prejudice (2005) film started this month 11 years ago! 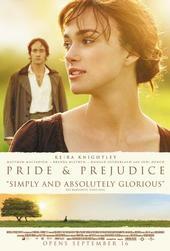 The 4-time Academy Award (6-timeBAFTA and 2-time Golden Globe) nominated 2005 film, Pride & Prejudicestarring Academy Award nominee Keira KnightleyandMatthew Macfadyenbegan filming 10 years ago this month (July 19th, 2004).The film was shot entirely on location in the UK, including Derbyshire, Wiltshire and Kent. 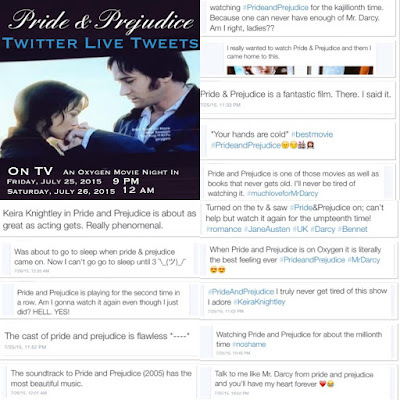 The P&P cast and crew spent their most fun and "happiest" summer (3 months!) 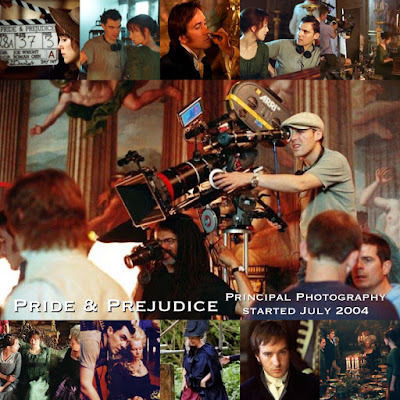 filming the movie from July to October 2004. The Last Kingdom starring Matthew Macfadyen to premiere October 10th on BBC America! 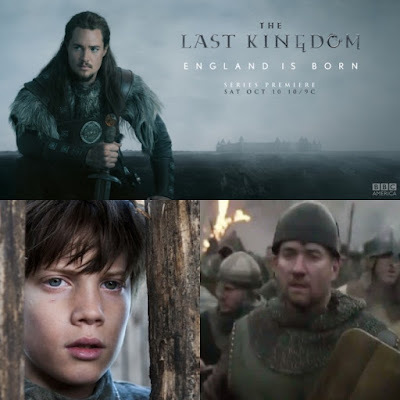 BBC America just announced the broadcast air date for its upcoming8-part drama series The Last Kingdomstarring Matthew Macfadyen. It will premiere on Saturday, October 10th at 10 PM ET/9c. Deadline and the twitter account for The Last Kingdom both shared the key art for the series. 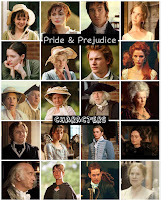 Today (July 18th) isKelly Reilly's (aka P&P's own Caroline Bingley) 38th Birthday! 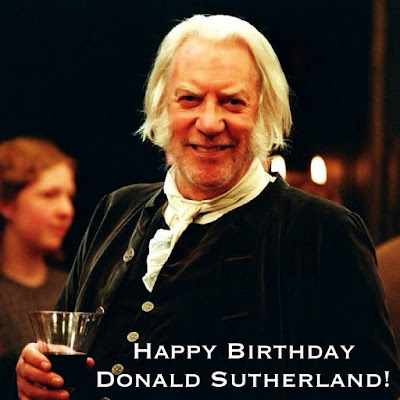 Today, (July 17th) is Donald Sutherland's (aka P&P's own Mr. Bennet) 80th birthday! Photos: The Cast of Pride and Prejudice and Zombies including Lily James & Sam Riley at SD Comic-Con; New PPZ still featuring Darcy and Bingley, and more! 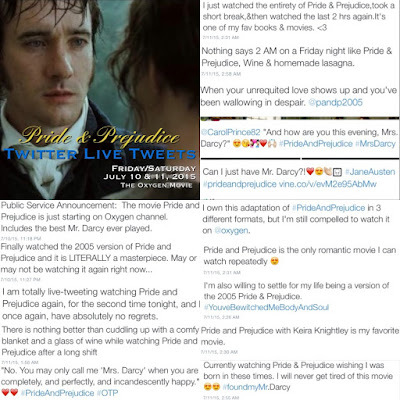 Yesterday (July 11th) at San Diego Comic Con 2015(SDCC), the upcoming Pride and Prejudice and Zombiesfilm had their PPZ Panel with cast: Lily James, Sam Riley, Bella Heathcote, Douglas Booth, Jack Huston and Matt Smith along with director Burr Steers and the book’s author Seth Grahame-Smith. They also attended another event, SiriusXM's Entertainment Weekly Radio Channel Broadcasts. The PPZ movie is slated for US Theater release on February 5th, 2016! 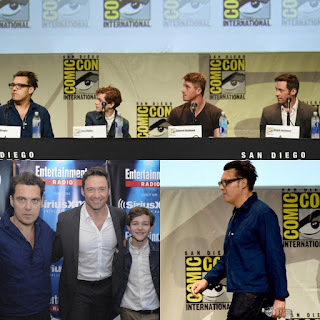 Joe Wright attended a couple events yesterday (July 11th), SDCC 2015 aka San Diego Comic-Con International at Warner Bros. Pictures' PAN panel with a few of his cast (Hugh Jackman, Garrett Hedlund, and Levi Miller) in Hall H for a short presentation for their new fantastical origin Pan film starring Hugh Jackman, Rooney Mara, Amanda Seyfried, Garrett Hedlund, and Levi Miller. The film will be in US theaters nationwide (with 2D, 3D and IMAX formats) this Fall, October 9th. 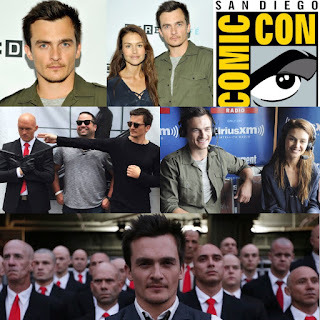 Rupert Friend and co-star Hannah Ware attended a few events (SiriusXM's EW Radio Channel Broadcasts, Wired Cafe, and MTV Fandom Fest San Diego Comic-Con) at the San Diego Comic-Con 2015 (SDCC) last Thursday (July 9th) as they promote their upcoming action-spy thriller Hitman: Agent 47, which will be released in theaters on August 21st (moved up a week from the 28th)! Rupert plays the lead title role, agent 47 in the film. Zachary Quinto, Hannah Ware, Ciarán Hinds, and Thomas Kretschmann also star. 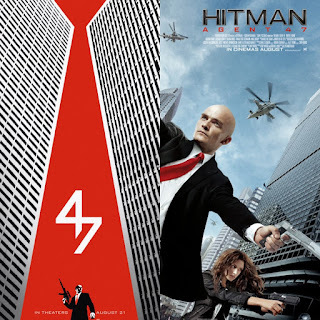 Two new posters has been released for Rupert Friend's upcoming action-spy thriller Hitman: Agent 47, which will be released in theaters on August 21st (moved up a week from the 28th)! Also, two new teaser videos has been released by 20th Century Fox as part of the film's #47DaysofHitman campaign. New The Hunger Games: Mockingjay - Part 2 Character Posters featuring Jena Malone as Johanna Mason! A series of newFaces of the Revolution (with the mockingjay symbol war paint theme) character posters (see above) for The Hunger Games: Mockingjay - Part 2 (Donald Sutherlandas President Snow and Jena Maloneas Johanna Mason co-star) has been released today by Lionsgate in various websites ahead of its Thursday's Comic-Con panel. The posters finally features Jena's Johanna Mason (love the RebelsUnite D13 text on her character poster, which you can a see larger size image below). On Thursday, Jennifer Lawrence, Liam Hemsworth, Josh Hutcherson and other cast members, as well as director Francis Lawrence and producer Nina Jacobson, will take the Hall H stage for the last time to promote the final Mockingjay – Part 2 film and will probably unveil a new trailer. Check out JM's character poster in the new MJ Part 2 posters below, which debuted on the film’s Facebook page, Yahoo!, MTV, EW, Metro, Mashable, IMDb, and Fandango. Four New Pride and Prejudice and Zombies Stills featuring Lily James, Sam Riley, and more! As previously posted here late last June 24th, Pride and Prejudice and Zombieswill have a PPZ panel at Hall H at the 2015 Comic-Con, which starts this week (from July 9-12) at San Diego Convention Center. 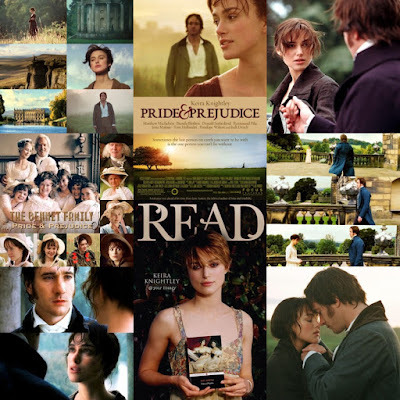 Its July 11 panel will feature PPZ cast including Lily James, Sam Riley, Bella Heathcote, Douglas Booth, Jack Huston and Matt Smith along with director Burr Steers and the book’s author Seth Grahame-Smith. Entertainment Weekly has released 4 new PPZ stills ahead of its Comic-Con cast and director appearances, where they'll premiere the first footage (maybe a teaser trailer too?) from the movie. Screen Gems will release PPZ in US Theaters onFebruary 5th, 2016! 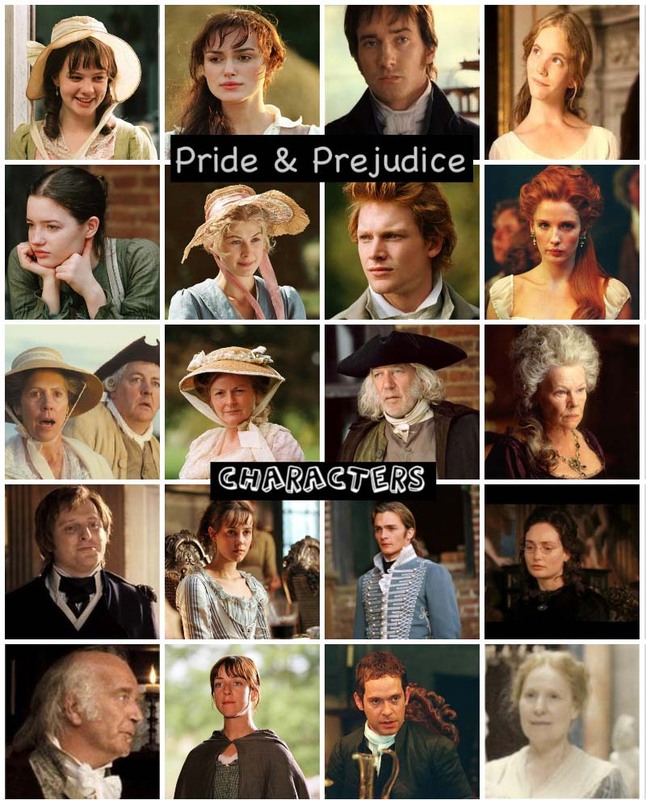 I am always baffled and downright mystified by how many self-described Austen fans disparage the 2005 feature film adaptation ofPride and Prejudice. It’s understandable that many, including myself, have a deep and abiding affection for a beloved work of fiction and that this same affinity yields very strong feelings. However, what I don’t quite comprehend is the reasoning behind the disdain, which can be frequently assigned to purists and/or devotees of the seminal 1995 BBC/A&E mini-series. First and foremost an adaptation can't possibly be an exact replica. Film is an entirely different medium and it needn't be precise in order to have merit. 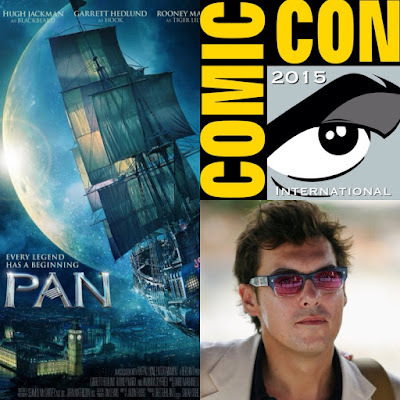 Joe Wright and cast of Pan movie to be at Comic-Con 2015 July 11th! Joe Wright is going to be at the SDCC 2015 aka San Diego Comic-Con International on Saturday, July 11th (starting from 10:30 am to 12:00 pm). He will be in panel with a few of his cast (Hugh Jackman, Garrett Hedlund, and Levi Miller) in Hall H for their new fantastical origin Pan film starring Hugh Jackman, Rooney Mara, Amanda Seyfried, Garrett Hedlund, and Levi Miller. The film will be in US theaters nationwide (with 2D, 3D and IMAX formats) this Fall, October 9th.